Hey Cherokee team!!! Hellz here! 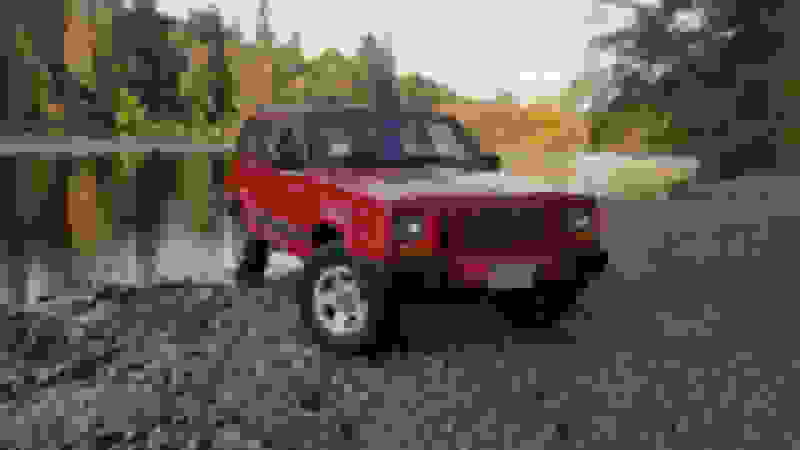 Owner of a red 1999 XJ, That I am dubbing project Redfoot. I am attaching photos Of the jeep bellow. I'm hoping that you guys can shed some light on some the more niche areas of Jeep customization. I just paid the jeep off from the dealer and I wanna get started on Some mods. Some of the things I have in mind are a lift kit, Tires 33's (if I can), If needed I would like to re gear my axle to facilitate daily drive-ability. I'd like to maintain proper odometer and speedometer reading as well as general road manners while finding a decent balance for doing some off-roading but not an extreme rock crawler. I wanna keep it strong and don't want parts that are just gonna crap out. Some of my questions: where should I start in terms of upgrades? what's the first things I should consider logistically speaking, or in terms of what to upgrade first? any suggestions on brands? 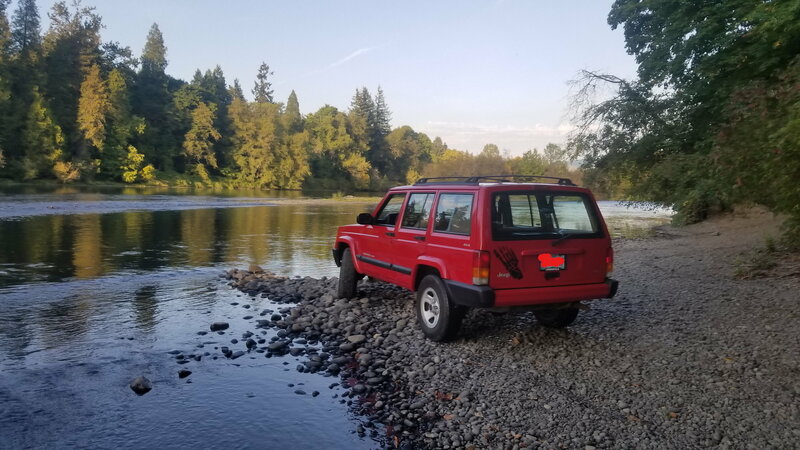 what are some over looked areas when it comes to Noobs with our jeeps? Last edited by Hellz; 01-09-2019 at 01:40 AM. First, if you plan on 33s you would do better going to 4.56 gears or at least 4.10s. That will be expensive, and will also require a lift unless you plan on doing some serious cutting. If you want lockers, when you regear would be the time. Changing ratios is something I really wouldn't mind doing. And lockers I do want. Although I am not sure exactly which kind yet. In my research i heard something along the lines of carrier brake being in the way on the axle do you know anything about that? Will i need an axel swap to do that? 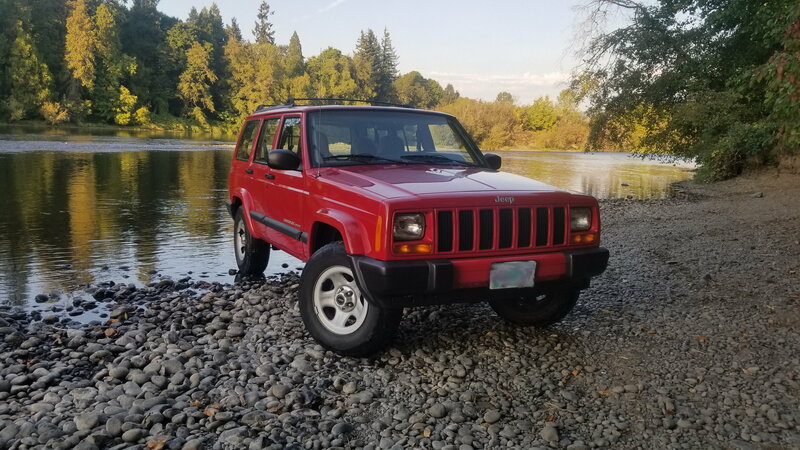 We need some more information about your XJ. You need to confirm what axles you have. Do you have ABS? How Many Miles, does it have any quirks or odd sounds, feelings, noises. Allot of what you can do with your XJ totally depends on your budget. Do a baseline Fluids Change and Maintenance program. Do everything. All fluids, all filters, complete tune-up, clean grounds, ball joints, u-joints, hub bearings. Start by browsing the jeep build threads section. 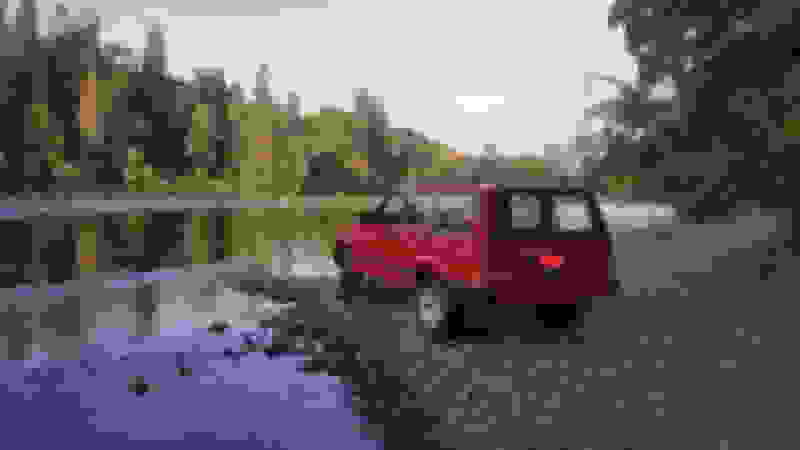 you will gain allot of XJ knowledge simply by reading other peoples builds from start to finish. The Key to Forum success is to read, read read, read. Then ask questions. The jeep bug has bitten. The more you start adding, the more research you do, and the more things you customize. Last edited by WyoCherokee; 01-15-2019 at 04:10 PM. Before any mods, go through your jeep with a fine tooth comb . Address all of the maintenance items mentioned above and make it as safe and reliable as possible . That will give you a clean canvas to work on. Do your research, be thorough, and have patience. First and foremost let me (as unpretentiously as possible) thank you guys for taking the time out of your day to help spread knowledge to us new guys. I did get a full tune up from the dealership that sold me the Cherokee, It is actually quite clean and runs like a Clock at 178,000ish. I will be doing a more in depth look at the Jeep at the off road shop. Part of what I was wanting to accomplish With this Thread was prebuilding the Jeep on paper. That way I can hammer out as many labor logistics as possible, Including cost. and figuring out what I can do myself. I Know I am gonna be saving for a lot of this stuff. but I was probably going to get a loan for some of it I would appreciate Brand or product suggestions. A couple words of advice for modding/wheeling.